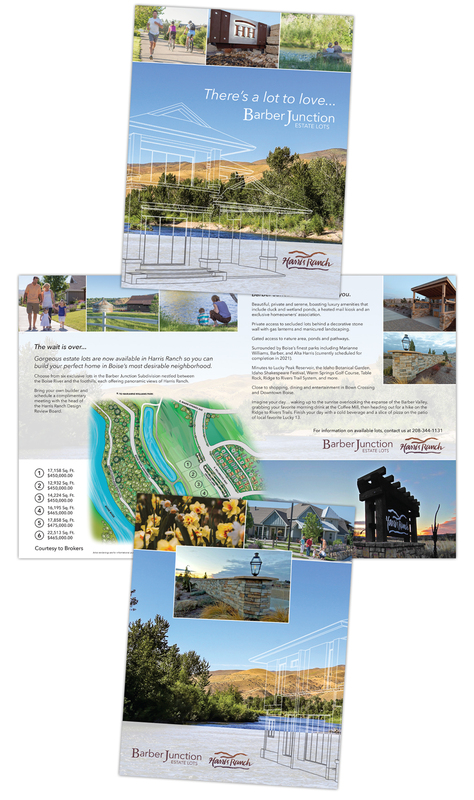 There’s a lot to love… about this folded flyer we created for Barber Junction Estate Lots in Harris Ranch. 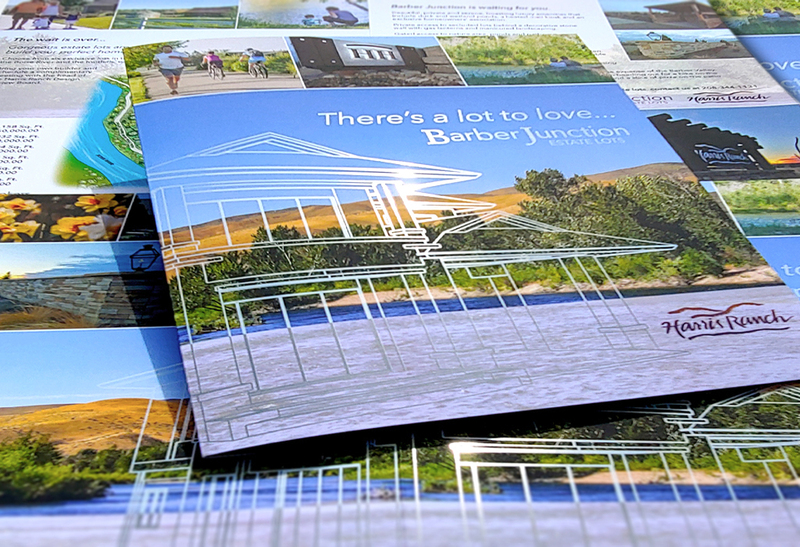 A few of our own photos, some typographic logo work, a little headline and copy writing, one custom illustration, and a lot of transparency combine to become a unique collateral sales tool. Working with HiTech Color, this flyer includes soft touch coating, and spot varnishes to highlight the transparent graphics.